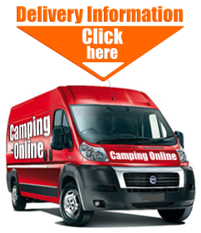 We stock a wide range of high quality camping equipment. We have an extensive selection of products, such as: tents, sleeping bags, Airbeds, stoves, cookers, burners, Gas, furniture, chairs and tables. If you are on a tight budget, we also stock some cheap camping equipment brands, we cater for all price ranges and supply all you will need for the great outdoors!